I have a confession to make. I've never really liked my lips. While I haven't been bothered by them to the point where I'd consider modifying them by way of lip injections, I'm not exactly satisfied with them. That's why, even though I love lipstick, I rarely wear it. I tend to stick to bold eye shadow looks instead. (On that note, check out five makeup looks I created using my five favorite winter eye shadow palettes.) What's more is that lip-plumping products and techniques (such as over-lining the lips with lip liner) have never worked for me. Either I didn't like the uncomfortable burn that accompanies most plumping products or the results of various makeup techniques didn't look natural enough for my liking. 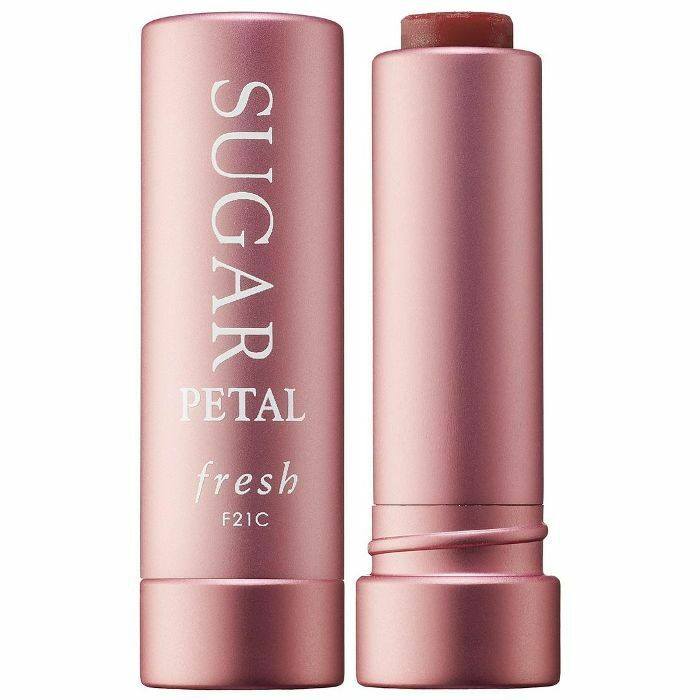 I was ready to accept my tiny lips for what they were, until I was introduced to an under-the-radar lip mask–and-balm duo by a friend (hi, Sophie!). 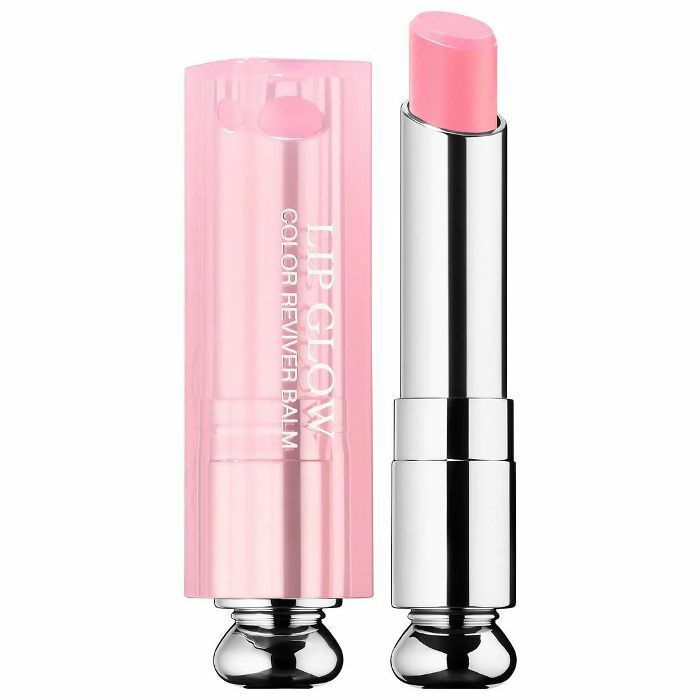 It moisturizes, plumps, and tints my lips almost instantly, yet looks natural. As such, it's officially become one of my holy-grail beauty products—one of the few mainstays that adorn my ever-changing medicine cabinet. 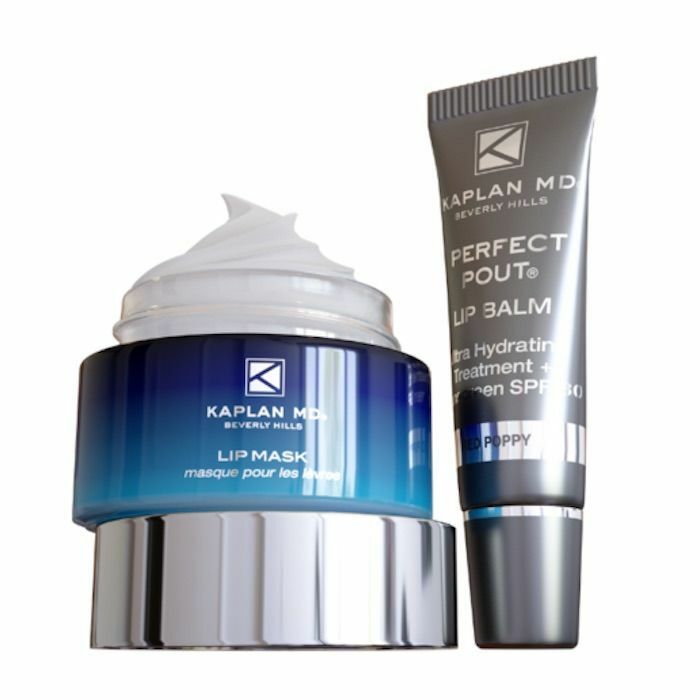 Kaplan MD is the namesake skincare and cosmetics brand of dermatologist Stuart Kaplan. All of his products are made in the USA and manufactured in Los Angeles, which is his home base. While I use and appreciate a variety of his products, including the Purifying Foam Cleanser ($35) and the Clarifying Toner ($35), the aforementioned lip mask–and-balm duo is my absolute favorite. The original Crystal Clear Lip Duo is a favorite of Byrdie's assistant editor Erin, who wrote an in-depth review of it. She credits it for allowing her to cancel her lip injection appointment. It contains one lip mask and one clear lip balm. The one I love, though, is a little bit different. It's called the Red Poppy Lip Duo, and the balm has a subtle rosy hue to it. 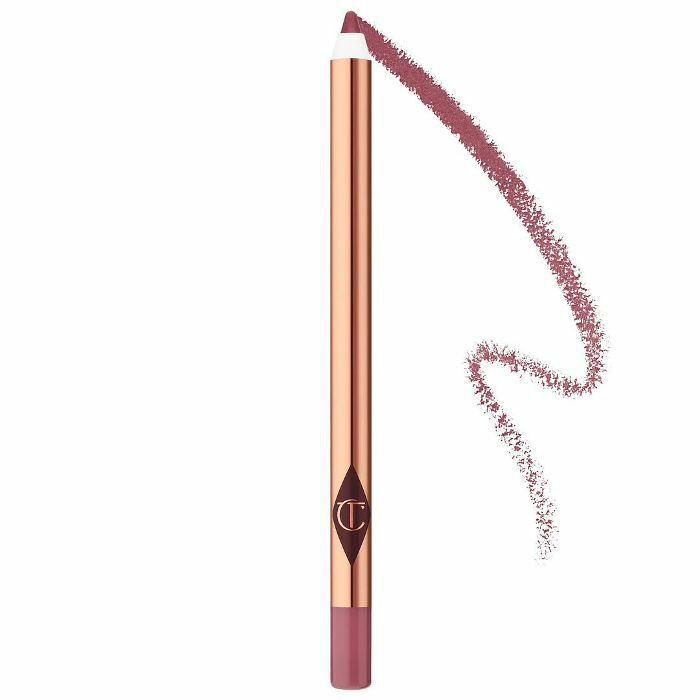 That extra kick of color makes all the difference to me and my thin lips since it calls extra attention to them, making them look youthful and volumized. Here's what my lips look like before using the mask. To me, they look rather thin and colorless. They lack the plumpness and the healthy pink color that I desire, but I wasn't naturally blessed with. So I reach for the lip mask, which is the first step in the duo. I apply it all my lips—even a bit past my natural lip line for extra volume—and leave it on for five to eight minutes. It works its magic with 22 certified organic plant-derived ingredients that moisturize and heal the lips, while a patented amino acid enhances lip volume. There are also papaya enzymes, which exfoliate dry and chapped bits, and two different forms of hyaluronic acid to penetrate deep and hydrate and plump the lip contour. This, my friends, is what my lips looked like immediately after I removed the lip mask. To me, my lips look visibly plumper and a little bit pinker too. They also feel bigger, which in turn makes me feel more confident wearing bold lip colors. It only takes a few minutes and a little gentle tingling. It's important to note that I haven't yet applied the accompanying lip balm. This is just my bare lips after the mask removal. Here's the end result. After applying the red lip balm, my lips look plump and bright. They feel smooth and hydrated. In fact, I often go without my trusted Nuxe Reve de Miel Lip Balm ($15) for the rest of the day. You'll notice that in this picture, I'm facing slightly sideways. I purposefully was trying to catch the heightened contour of my lips on camera. After I use this mask-and-balm duo, the silhouette of my lips is exacerbated and upturned, which makes them look plumper and more youthful. It almost looks like I opted for super-subtle lip injections. Even though it looks almost undetectable on camera, my lips look so much different IRL. I'm obsessed. While the plumping results don't last all day long, they do stick around for a few hours, which is why I reach for this product whenever I'm headed out to an event. As for the smooth, hydrated feel of my lips, that does last all day, which is why I recommend using this beloved lip duo daily throughout the winter months. If you do, thin and dry lips won't plague you like they used to plague me. Keep scrolling to see a few more of our favorite lip products. 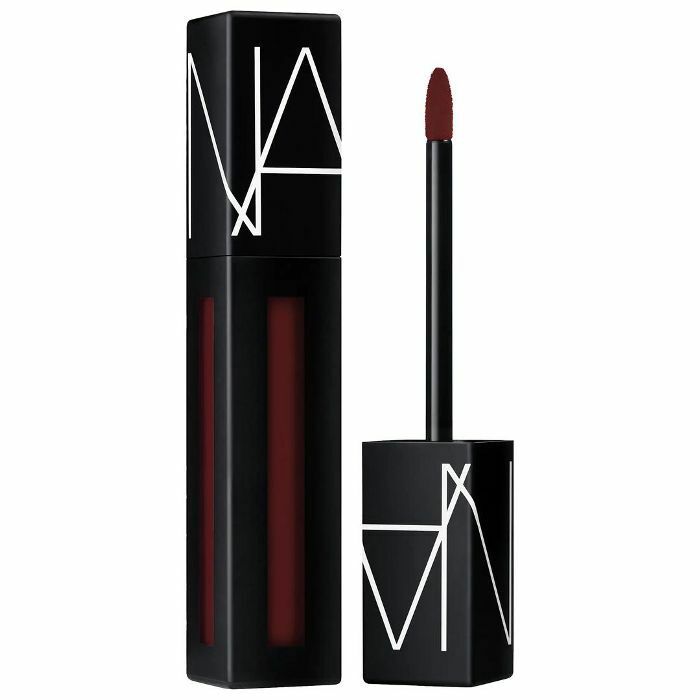 Next, check out the 14 best lipsticks of all time, according to a Byrdie editor.